Ofsted outcome – we are a ‘good’ school! 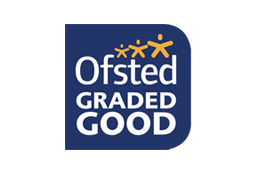 We are delighted to announce that Salisbury Primary School has been rated as ‘good’ by Ofsted. Once published, you will be able to read the Ofsted report in full at www.reports.ofsted.gov.uk, or by clicking here. Welcome to Salisbury Primary School’s Website. We hope that you will find it informative and that it will provide you with an insight into life at the school. We aim to be a values based, inclusive school at the heart of our culturally diverse community. In striving for excellence, we also aim to be inclusive and nurturing. We take pride in fostering enjoyment of learning that will lead to children being the best that they can be in all areas of the curriculum. Central to our philosophy is a belief in equal opportunities and justice for all. We seek to meet the needs and fulfil the potential of everyone in our care. We value the abilities and talents of our children and emphasise their positive qualities and achievements. We aim to develop these qualities through high expectation and good relationships in a consistent, stimulating and enjoyable learning environment. We welcome and value the many cultures of our community and in this respect regard children and parents as contributors to a teaching and learning partnership. We also see ourselves as partners with parents in helping to prepare our pupils for the next stage of their education with children having a responsible future, respect for themselves, respect for others and respect for their own and the global environment. Welcome to Salisbury Primary School. As the Chair of Governors, I am here to support the staff, students and parents of Salisbury Primary School to ensure that we all reach our vision of a happy and caring school with high expectations both within and outside of the classroom. Salisbury Primary School is a very special place. It has wonderful children who really enjoy their time in school, but the best schools are those that constantly strive to make improvements, make changes and adapt to the pupils’ needs. Salisbury Primary aims to do this. · Overseeing the financial performance of the school and making sure its money is well spent. I look forward to meeting you and working with your children and the dedicated staff at Salisbury Primary School. We aim to be an outstanding, values-based primary school at the heart of our culturally diverse community. In striving for excellence, we also aim to be inclusive and nurturing. We take pride in fostering an enjoyment of learning that will lead to children being the best that they can be in all areas of the curriculum. We believe in commitment, opportunity, respect and excellence. Commitment by all members of the school community to its caring ethos and academic traditions. Opportunity within a supportive environment for all to fulfil their potential as individuals, lifelong learners and positive contributors to society. Respect for others and self, and the building of harmonious relationships within the school and the wider community. Excellence, personal achievement and high standards in all areas of school life. These translate in to the school rules that have been decided on by the children.